"It had mtDNA (mitochondrial DNA) with mutations unknown in any human, primate, or animal known so far. But a few fragments I was able to sequence from this sample indicate that if these mutations will hold we are dealing with a new human-like creature, very distant from Homo sapiens, Neanderthals and Denisovans." “I am not sure it will even fit into the known evolutionary tree,” the geneticist wrote. He added that if the Paracas individuals were so biologically different, they would not have been able to interbreed with humans. The results need to be replicated and more analysis undertaken before final conclusions can be drawn. We will update when more details emerge. Now, with our brains reeling from the onslaught of unsubstantiated claims, we can take our handful of queries and hammer away at them on the anvil that is critical thinking. Sadly, without access to costly research papers and with Google’s search engine chock-full of reportage on these ‘unbelievable’ (quite) findings, it is pretty hard to determine the veracity or otherwise of the claim regarding the ‘impossibility’ of cranial deformation, but the simple fact that there are hundreds or thousands of documented cases from all over the world where it has been deliberate, and clearly appears to have altered the volume of skulls, should be an indication that the claim may be false. But what of his intrepid ‘geneticist’? After a little digging, it turns out that the samples Foerster procured were handed over to one Lloyd Pye. Another quick Google later and it turns out that Pye, amongst other batshit craziness, had (he is now deceased) been the number one proponent of the wholly discredited ‘Starchild Skull’. But not to worry! Pye was not the ‘geneticist’; he handed over the samples to… (a little more digging) Dr. Melba Ketchum (Oooh, she’s a Doctor!). The next question should be obvious – what kind of Doctor is she? Well, not a geneticist, that’s for sure; she is in fact a Veterinarian. She does have a company called DNA Diagnostics Inc. – The Better Business Bureau has granted her business a rating of ‘F’ for various consumer complaints and it should be noted that they deal with cat and dog DNA, not human! She has also made claims regarding supposed Bigfoot DNA, which have been roundly destroyed. There is much more (including the ultimate scientific faux-pas of falsifying peer-review), but you can look that up for yourself. And so ends our lesson. I think the conclusion ought to be manifestly obvious to anyone with a brain. If it isn’t, then you may be subject to a little confirmation bias – that is, you want to believe in alien-human hybrids because of some pre-conceived notion and, as this fits the bill, it must be true! That, my friends, is expressly not critical thinking or skepticism. To summarise: Question the central claims, research the claims, find the sources, check the sources (do they say what it is claimed they say? Are they reliable and/or peer-reviewed?) and, finally, come to an objective judgement of the merits of the claims. For goodness sakes, Jake ! Take you own frigging advice !! Have you listened to Foerster on Redice Radio yet? In this interview, he explains why he released the info, and why the genetist was not ready to identify himself / or herself. Foerster is a credible guy, who LIVES in the country, near where he is doing his work. He is not spending all his time defending himself on Western media. 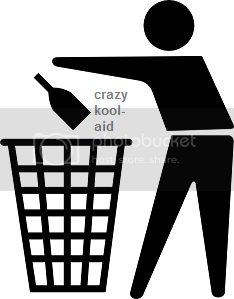 There are way too many would-be debunkers, who find one little scrap of evidence which they believe to be negative, and then they blow it up into more than what it was, as claim to a gullible MSM that THEY HAVE THE ANSWER. I am very familiar with this very old trick, as I lived in Michigan when J. Allen Hynek came to town - to debunk UFO's, and told the press: "It was Swap Gas! ", and the gullible media reported it as straight fact. These folks go way beyond the superficial nonsense you find in the Mainstream Media, which reports mainly spin these days. It takes time to get to the bottom of these stories. I have had a thread about Karen Hudes for months, and after listening to her material and her interviews, I am only now beginning to fully understand the confusing collection of truth and misinformation that she is putting out. And many are still confused about Snowden after a year: Is he a Hero or Villain? and told the press: "It was Swap Gas! ", and the gullible media reported it as straight fact. 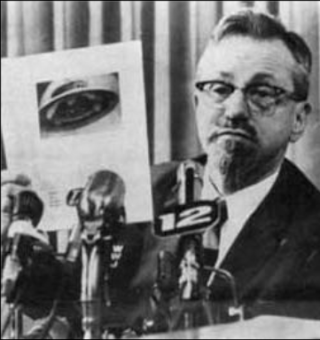 Hynek (1910-1986) emphasizes how the subject of UFOs is worthy of serious scientific study. He started off a skeptic when he first began as a scientific consultant on the subject for the Air Force in the late '40s and early '50s, but the sightings that would end up being classified as "Unknown" eventually caused him to believe that a deeper, more serious investigation of those reports was warranted. Blue Book was shut down by the Air Force in 1969 and Hynek created the Center for UFO Studies in 1973 to fill the void and to carry out a more serious and ethical examination of the evidence. "... and had the edict: Do not rock the boat... Do not get the public excited." Clearly, his (early) job was : MIsinformation and Cover-up ! Watch the Video . Later is his life, Hynek switched sides, and became someone who was trying to end the cover-up. 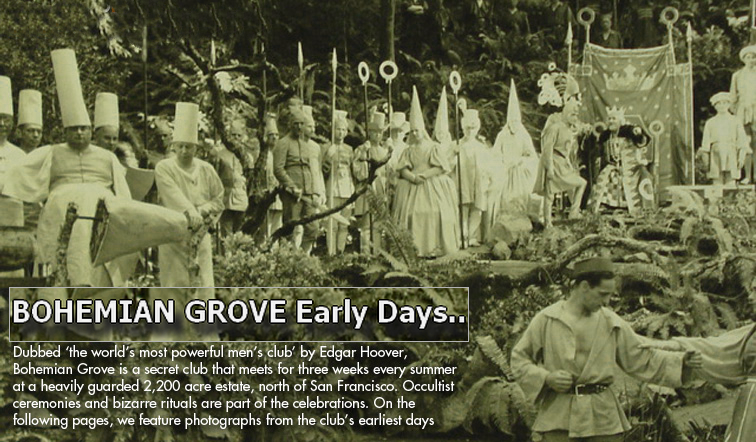 Royce Holleman discusses elongated skulls, ancient Egypt and the New World Order. 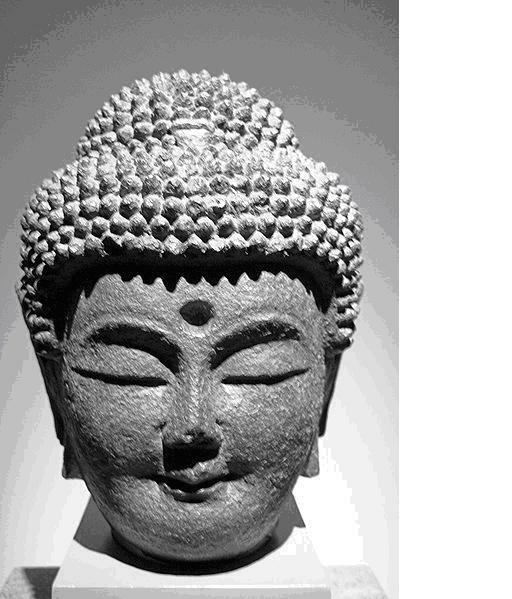 The "Buddha-Bump" - Any connection ? LUCY: "All the things that made me human are fading away"
Super powers corrupt, I suppose. Is Morgan Freeman always in these films? The researchers studied genomes of a native African, a man of Eurasian descent, a Neanderthal and used a chimpanzee for comparison, isolating the strands of DNA into smaller chunks for individual analysis. The study, published in Genetics, suggests that modern humans leaving the sub-Sahara met and mated with populations of Neanderthals when they entered Europe and Asia via the plateau of what is now modern Saudi Arabia, rather than happening when they traveled through Africa, which would have to account for numerous events of isolation occurring on a single continent. Neanderthal children experienced strong emotional attachments with their immediate social group, used games to develop skills and played a significant role in their society, a significant research has revealed. "It is a rare genetic condition - and they are of diminished mental capacity. They got in the way of the Vatican, and were marked for elimination." connections to UFO, giant skeletons, Sitchin and the discovery on Catalina Island in CA. 2:06 in: "They found a pregnant female mummy, and opened her up, and found the foetus had an elongated skull and had teeth - they weren't supposed to be there." Perhaps the most puzzling of the artifacts are the coneheads with elongated skulls. The traditional explanation for the elongation is banding – tightly wrapping the heads of babies in order to force a deformation of the skull. On several of the skulls you can clearly see the marks of the bands. Other skulls, however, appear to be elongated naturally. They are perfectly smooth and show no evidence of having been banded. Is Homo Capensis, the Big Brain Conehead, Earth's High Cabal & Covert Controller? NOTE: You can access context information and links here while you watch the interview. Thank you. What a curious and embarrassing failure! His answer, when Alfred asked, where's the evidence, was extremely poor. He could not say anything! That's why I have just moved the thread to Acore. There's been no decent further evidence or arguments put forward since the early days of the thread. "Are the Illuminati hiding behind the Jews, or the Jews behind the Illuminati? The Jews are hiding behind the Illuminati," he answers. But somehow he cannot see that Hudes is using the Jesuits as cover for her own tribe. Spreading confusion about who really runs things seems to be her number one mission. And perhaps her embracing of the Coneheads Rule theory is part of her campaign of confusion. In Feb, he said: "Karen Hudes is no longer talking about the coneheads"
Karen HudesThanks to Red Ice Radio for conducting this February 21, 2014 interview with Karen Hudes, confirming my suspicions about her since late 2013, when she claimed that the Jesuits were behind the corruption at the World Bank, and by extension, the international banking system. Obviously no one has complete knowledge or information. I find that when people talk for say two hours and I’m none the wiser at the end or even confused I tend to move on. I imagine much of the information banded around these days is mostly disinfo which has reached fever pitch levels. I also think they (illuminati / Cabal) have been very clever with their approach to disinfo where we have these ‘do gooder’ type approaches and saviours of the world’ spinning out truth and lies which I believe are desired to reel us in and distract long enough until the next gimmick comes along. By following these we learn very little and go nowhere fast and before we know it another year has passed. For me the main agenda is still the NWO and depopulation. Undoubtedly there’s lots of infighting going on between nations as they fight for control of Money, energy, resources and ET technology. Changes to our climate may not be preventable if the claims about mass release of Methane gas from melting permafrost on the Siberian Peninsula are true, hence the Mars Colonisation. Even if we stopped burning fossil fuels today I doubt it would make much difference. Fossil fuels accounts for about 5% to 10% of carbon Dioxide emission where as rotting vegetation across the planet account for 90% emissions. Not only that if the sun itself is warming there’s very little we can do about it anyway, without ET help. There are schemes to burn this vegetations at high temperature which could then be re-added to the soil to improve yields. But, nothing large scale is happening at the moment as far as I know. Karen Hudes, Dr. Ed Spencer - Humanity Will Prevail Over Conehead "Beings" ? Wat i typed into google was homocapenses. Try googling that and see wat comes up. ANyway..Karen Hudes suckerpunched, big brain coneheaded beings, mindsway tech, fed debt scam, and it sounds like even murder of bankers and someone else named "Mullens". Not sure wat 2 make of all of it. The truth is i have some problems w/ this interview. Tell me wat u thik guys. Coneheads existed - there is no doubt - we have the skulls to prove it. What do we really KNOW about coneheads? They are also said to: have red hair, been fierce in battle, and to be cannibals, who sacrificed humans to their gods. Also test on elongated skulls from Paracas announced in July 2016 suggest that they include DNA of surprising origin. 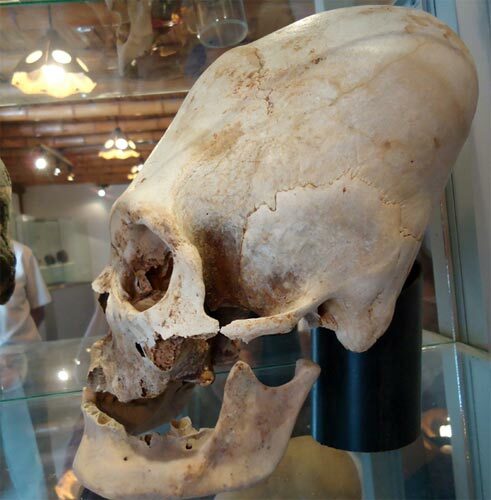 "The elongated skulls of Paracas in Peru caused a stir in 2014 when a geneticist that carried out preliminary DNA testing reported that they have mitochondrial DNA “with mutations unknown in any human, primate, or animal known so far”. Now a second round of DNA testing has been completed and the results are just as controversial – the skulls tested, which date back as far as 2,000 years, were shown to have European and Middle Eastern Origin. These surprising results change the known history about how the Americas were populated"
I have spoken to someone who claims he has been to caverns in Antarctica, which are said to be massive, like 1 km high or more. And the walls of those caverns are said to be covered with a light-emitting algae, which was bio-luminescent. That is to say that they did not merely store light, and emit it later. But rather emitted light produced from some biological process. I asked a question: Was the light sufficient to grow food? I did not get an answer to that question. So I have pondered: what did to beings who lived underground eat? As I ponder that question, I find the stories of canabalism disturbing. In the first half, author and researcher L.A. Marzulli discussed the mysterious elongated skulls of Paracas, Peru. Anthropologist Rick Woodward and others found the heads had structural oddities that seemed to suggest genetic differences from normal humans, and Marzulli recently held a press conference in Los Angeles to announce their testing results (view related images/video). 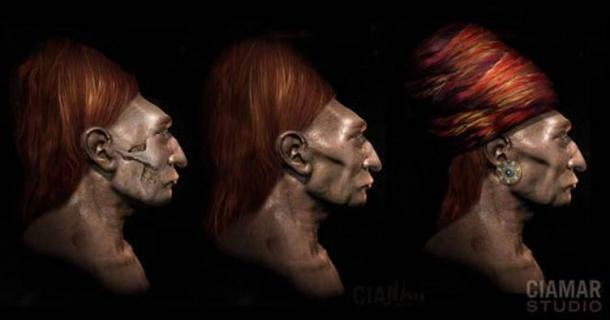 Though some suggest the skulls are merely the result of intentional cranial modification, Marzulli and some of his co-researchers such as medical doctor Dr. Michael Alday believe they may represent a new subspecies of humans. "Based on my limited testing, " said Marzulli, "I would say some of them may have 25% to 30% larger cranial capacity than a normal human skull." If he had to guess, "I'd say we were looking at the remnants of the Nephilim," the fallen angels described in the Bible, who he considers to be "nefarious interdimensional entities." The theory is that these beings fled the Middle East around 3,500 years ago, arriving in the New World much earlier than Columbus and other explorers, he continued, adding that Josephus described the Nephilim as having countenances so different than regular folk that they were terrifying to look at.